Production of high quality sample pellets from 5mm to 40mm diameter. 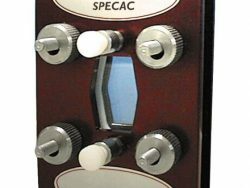 Specac manufactures a wide range of high-quality Atlas Series Evacuable Pellet Dies suitable for compacting powdered samples into discs or briquettes. 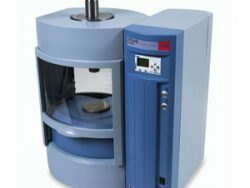 These are particularly well suited for the preparation of solid KBr pellets for FT-IR molecular spectroscopic analysis and XRF pellets for X-Ray Fluorescence atomic spectroscopic analysis (as required by a number of USLP and ASTM methods), but also find use in a broad range of other applications. 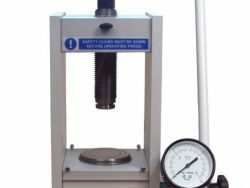 Atlas Series Evacuable Pellet Dies are typically used in conjunction with the Specac’s Atlas Series of Hydraulic Press Products. 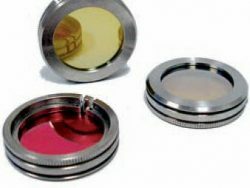 These Evacuable Pellet Dies produce circular pellets in sizes from 5 mm to 40 mm diameter as standard, but other shapes and sizes are available on request. 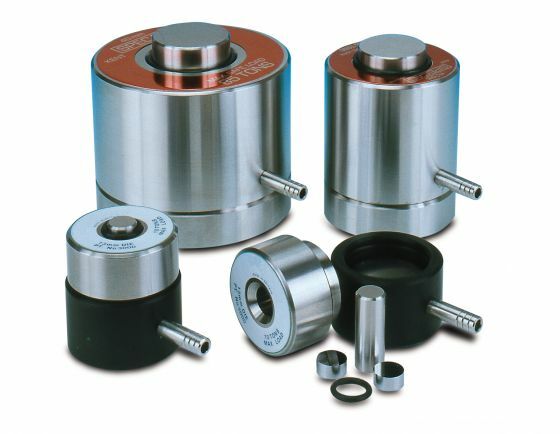 These pellet dies cover a range of load capabilities. For optimum quality and durability of the pellet die, all parts are manufactured from hardened stainless steel, and surfaces that come in contact with the sample are highly polished. 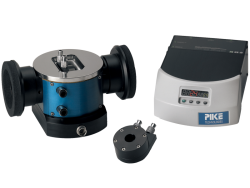 Each Pellet Die comprises of an evacuable base, body, plunger, a pair of internal pellet pressing surfaces, extractor ring, and O Ring Kit. 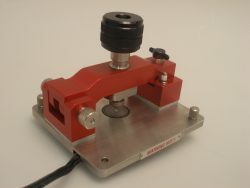 An evacuation port is provided for removal of moisture, if desired, during the pressing process.